Pay-TV giant is 'not setting out to disintermediate agencies'. Sky Media has named MediaCom’s Sarah Jones as head of strategy and planning as it seeks to build "strong, direct relationships" with advertisers. Jones was previously head of planning at MediaCom and has also worked at Starcom, Mindshare and Manning Gottlieb OMD. 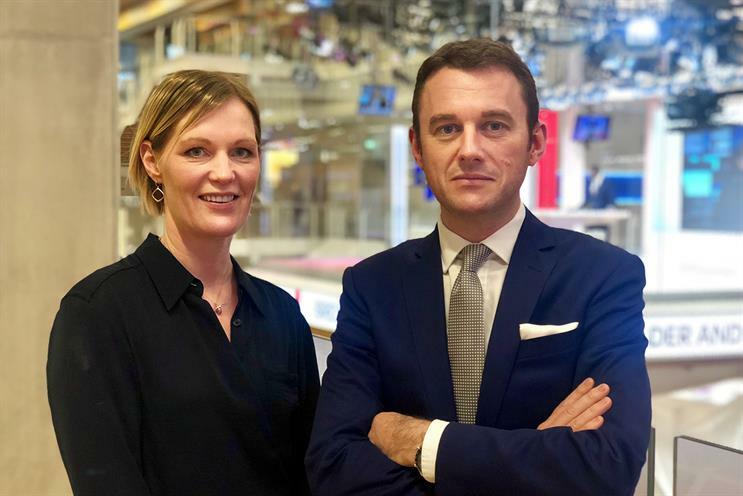 Sky Media, the ad sales arm of pay-TV giant Sky, is the latest media owner to beef up its direct-to-client offering, following ITV’s appointment of Kate Waters from creative agency Now to be its director of client strategy and planning. Many media owners have been looking to emulate Google and Facebook, which have led the way in building large client-facing teams. Andrew Mortimer, director of client strategy at Sky Media, said: "We are not setting out to disintermediate agencies, who are a critical partner for us. However, we do need to be in a position to meet our advertisers’ evolving demands. "More advertisers have their own first-party data and are choosing to lean in to a rapidly changing media market and a broader Sky Media offering. "They increasingly want to have strong direct relationships in order to deliver more effective campaigns." Mortimer previously worked as director of media at Sky, Britain’s biggest advertiser, overseeing its estimated £300m-a-year media spend until spring 2018, when he moved from marketing to ad sales. Jones said: "Sky Media are in the unique position of offering advertisers world-class content combined with unrivalled data and technology. I’m looking forward to working with clients to demonstrate how that unique combination can better deliver their business needs." Sky Media is one of the five biggest ad sales houses in the UK, handling upwards of £1.2bn in estimated annual billings – roughly on a par with Channel 4 and behind Google, ITV and Facebook. Sky Media represents Sky’s own portfolio of channels and other broadcasters, including Discovery and Viacom, and it has invested in ad targeting technology AdSmart, which allows so-called "advanced advertising". Comcast, which bought Sky for £30bn in October 2018, said last month that Sky’s advertising revenue increased 2.9% across Europe in the last three months of last year, thanks to "advanced advertising growth in the UK" and "increased sports inventory in Italy and Germany". Comcast said it plans to "leverage" Sky’s know-how from its subscription video-on-demand streaming service, Now TV, to help US sister business NBCUniversal build its own streaming service with "a very light ad load of targetable ads". Steve Burke, chief executive of NBCUniversal, said on the earnings call that there is "huge demand" for "interactive digital advertising" because "advertisers want to be in very, very good professionally produced content". SVOD is a boom area, with Disney and ITV among those set to launch services this year as broadcasters face competition from Netflix and Amazon.